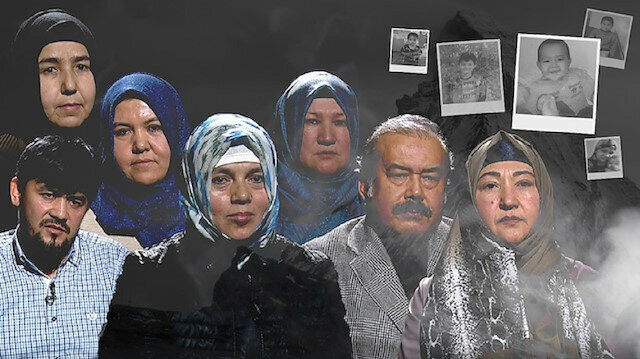 A group of Muslim Uyghur refugees in Turkey have spoken out about the horrors they faced on their journey to escape China’s internment camps. In an interview with Turkish social media platform GZT, the group revealed the extent of the persecution faced by Muslims in China’s Xinjiang region, where they have to endure torture and barbaric practices at the hands of the Chinese authorities. In a shocking testimony, Rukiye, one of the survivors, said her two older brothers and five friends were gunned down by a firing squad right in front of her eyes. Father of two Abdulrahman Emin said he received news in 2017 that his two children were shot by the police while playing on the street. “I heard one of them is dead and the other is at the hospital. But I don’t know who’s who,” said Emin of his horrifying ordeal. Many refer to China's Xinjiang Uyghur Autonomous Region -- home to many ethnic minorities, including the Turkic Uyghur people -- as East Turkestan.